GCSE – Migration from separate sciences to ‘core & additional’: outcomes improve in the former and fall in the latter. In this analysis A*-C is used as a key performance indicator. In (core) Science the A*-C percentage fell by 2.5 percentage points and now stands at 56.7% (though still higher than the 2013 dip of 53.1%). The gap in gender performance at this level has increased by a percentage point to 6.6%, with girls in the lead. Recruitment is up and the trend of declining entry has been reversed, rising by 5% on 2014, though down by 12% on 2013. In Additional Science the A*-C percentage fell by a percentage point. Girls still outperform boys by six percentage points at this level. Recruitment is up by 10%, continuing the upward trend from 2013 and is the highest figure it has been since 2010. Further Additional Science took a 4.5 percentage point hit on the A*-C indicator. Girls’ lead increased from 2.7 to 4.1% at this level and recruitment rose by 11%. Intake now stands at 70% of that of Additional Science. In Biology the A*-C percentage rose by half a percentage point to 90.9%; girls are nearly 2 points ahead. Recruitment fell by 2% on last year. In Chemistry it was a similar story; A*-C performance rose half a point to 91.2% with girls maintaining a 2.5% lead and recruitment fell by 3%. In Physics the A*-C percentage rose by a half point to 92.0%, with girls maintaining a half point lead and recruitment was down 3%. For all three separate sciences, entry is at its lowest since 2010. 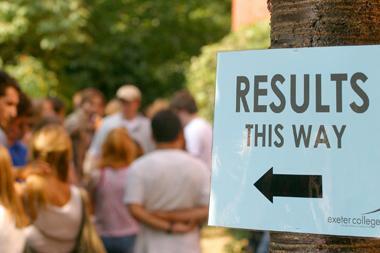 Recruitment trends are probably a result of a number of factors; the increasing popularity of Additional Science and the continuing decline of separate sciences could be the response of students and schools to the Ebacc indicator, with students focusing on fewer academic subjects to maximise grades. The decline in ‘core’ science has been reversed; the dip may have been the result of schools delaying entry until the end of Y11 but may also show that fewer students are doing ‘single only’ routes. Unsurprisingly perhaps, as the intake to separate sciences falls so performance at A*-C in those subjects rises. In A level science a key indicator used in this analysis is the A*-B percentage; the reasoning behind this is that these are often the key grades for university entrance. In Biology there was a drop of half a percentage point in the A*-B percentage. Girls continue to outperform boys by around 2 percentage points at this level. The gender gap in recruitment continues to widen; 61% of entrants are now girls. The subject is slightly less popular than last year, being down 1%. Chemistry: there was a slight drop in the A*-B percentage but this was due to girls performing less well. Boys’ performance improved and is now one percentage point ahead on this indicator, as opposed to one point behind last year. Recruitment is down by nearly 2% on 2014, the reduced popularity being entirely with boys, with the result that there is now less than 2% difference in gender recruitment. Physics: there was around a 1% drop in attainment at A*-B, reflected both in boys and girls; girls continue to perform better than boys, being 5.5% ahead at this level. Recruitment fell slightly; this was entirely down to boys, though they still make up 79% of entrants. All three sciences are now less popular at A level, judging by recruitment figures, and in all three areas fewer students secured high grades. There were over 2700 fewer entries by boys this year compared with 2014. Girls continue to outperform boys at A*-B in Physics and Biology but no longer in Chemistry.